Open day and family history day at the Cemetery. Call at any time between 11am and 4pm and stay as long as you like. A chance to trace your ancestors with help from our volunteers. 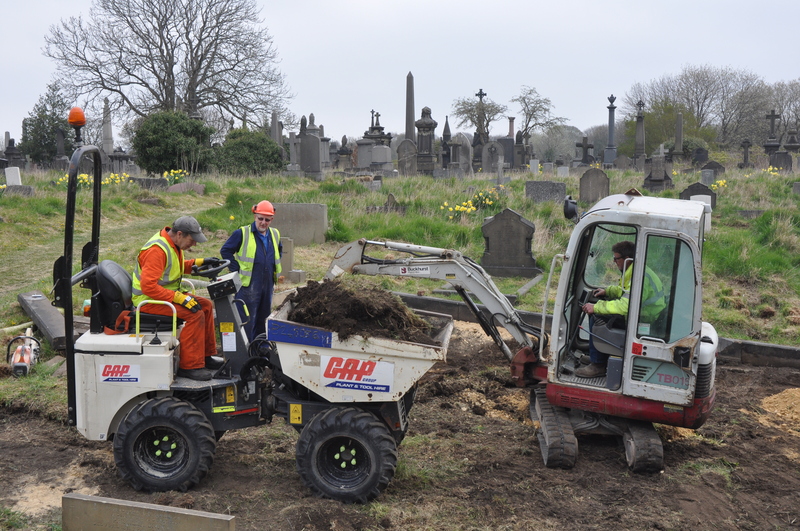 Find out if your ancestors are buried at Undercliffe, the location of the plot and any memorial inscriptions. Find out more about what our volunteers do in maintaining the cemetery and the research program. Learn more about the cemetery itself, its history, the famous people that are buried there. Bring your old family photos taken during Victorian times and see if we can reveal more details about them. Stroll around the cemetery at your leisure. Try out our QR codes to reveal more details about the families behind the six listed monuments. Donations are welcome on the day. Any donations will go towards helping maintenance of the cemetery. Coffee tea and biscuits available.